Almond flour is amazing! Easy to use, almond flour lends a wonderful buttery flavour and light moist texture to baked goods. It is gluten free, grain free and low-allergenic making it appropriate for the majority of diets. Best of all it is nutritionally superior to other grain based flours (even the gluten free ones!). Almonds are an excellent source of protein, fiber and heart healthy monounsaturated fats, magnesium and vit E, not to mention other important trace minerals like manganese, copper, and B2 (all key for keeping you energized). Unlike most baked goods made of refined grain flours, almond flour products are going to help balance blood sugar and keep you satiated because of the protein, fiber and fat content. Balancing blood sugar is crucial for weight management, hormone health, and preventing diabetes and cardiovascular disease – not to mention keeping you happy and energized. I am thoroughly enjoying Elana Amsterdam’s The Gluten Free Almond Flour Cookbook. She provides some great nutritional information along with sweet and savoury recipes that are sure to please. I appreciate that the majority of her recipes are also free of dairy and refined sugars. 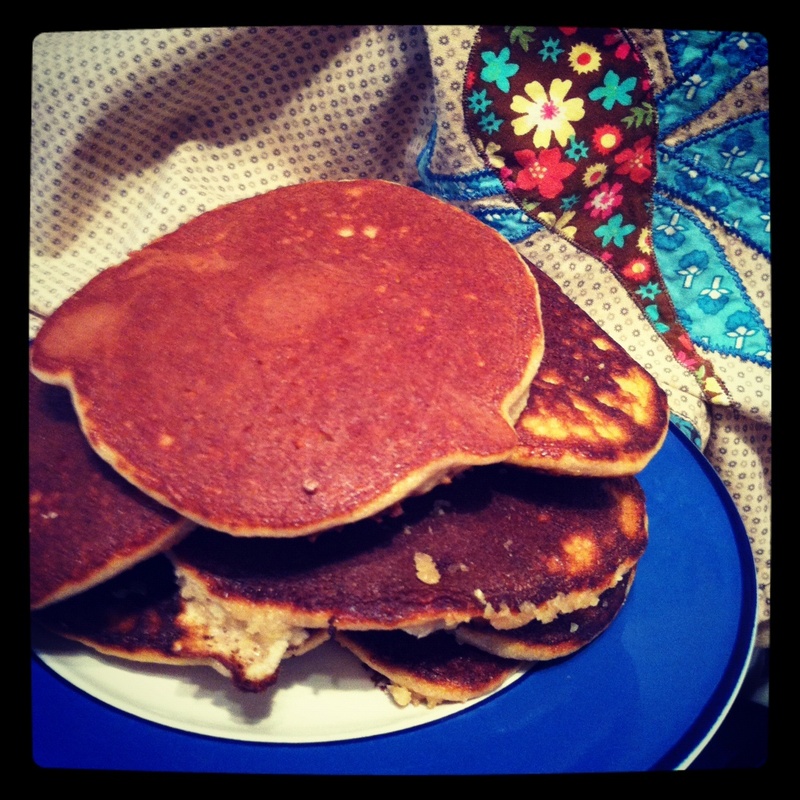 This entry was posted on August 22, 2012 by katelivingfull in Nutritional info, Sweet Recipes and tagged almond flour, blood sugar balancing, breakfast, dairy free, gluten free, snackable.